How do I change my mail forwarding option? When initially signing up for your service, you simply select one of the above. Please note: the Just Scan and Mailbox Basic package do not offer the flexibility of changing the mail forwarding options. 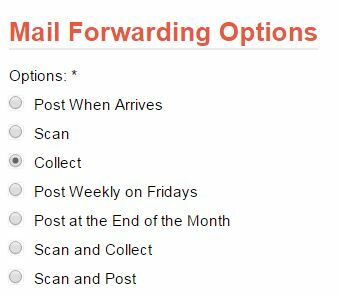 All the possible mail forwarding options will be shown on the next page. 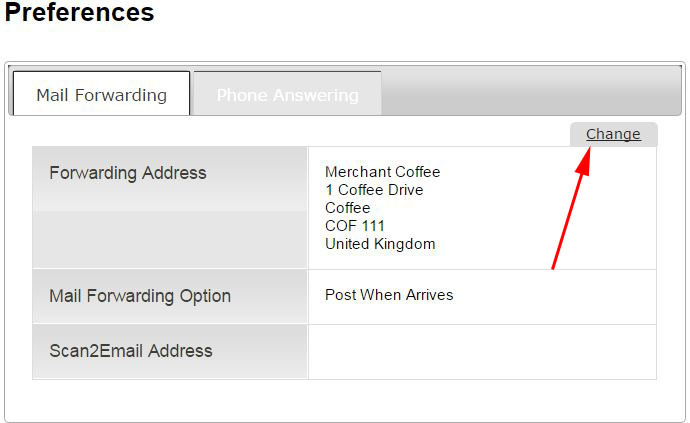 If you do not see the mail forwarding options, if may be due to the type of package you have. Please note: If you select any of the Scan options, you will need to enter an email address of where you want your scanned emails sent to.